We respect your privacy. We don’t share your email with anyone. Since 2005, responsible builders and developers around the region have trusted Earth Advantage to guide them toward better building. 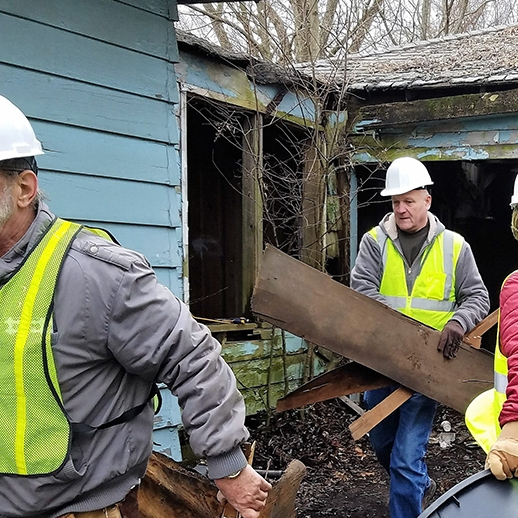 Our newest certification offers builders the opportunity to demonstrate leadership in the full spectrum of green building, establishing the highest standards in responsible site clearance and preparation for redevelopment. Through on-site consultation and open access to our project guidance resources, you’ll be able to quickly and easily educate your team on the industry’s most advanced practices for site preparation. What’s more, we’ll also provide the practical communication tools you need to set yourself apart from typical builders, strengthening your image with eco-conscious home buyers and earning trust and goodwill in the communities you serve. Creating the safest site possible—for your workers, and the community—has never been so simple. We make it simple and straightforward to achieve your sustainability goals. We’ll help you make quick work of navigating even the most complex regulations, protocols, and standards. 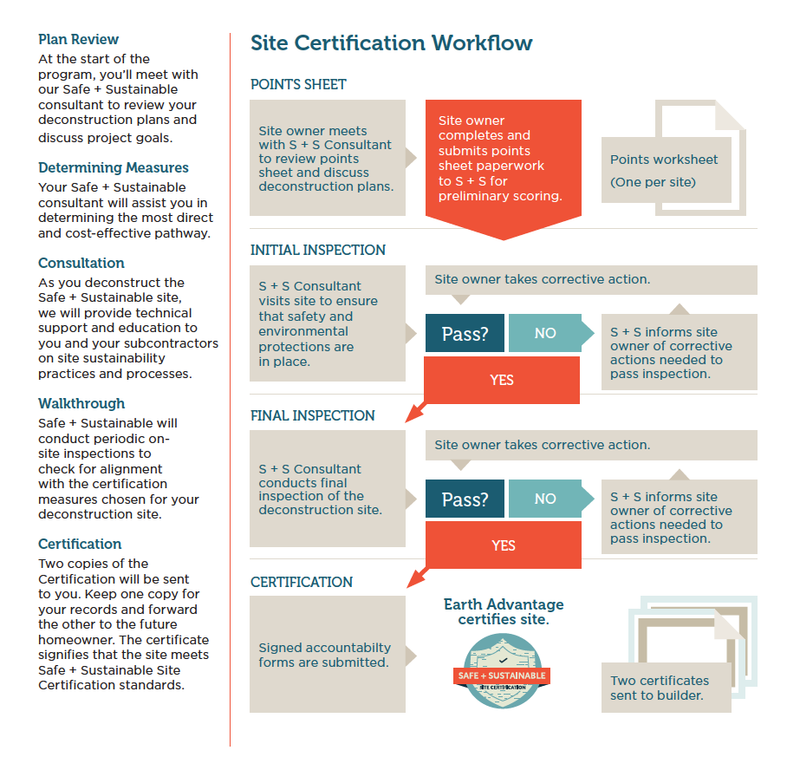 Certification clients receive in-person consultation and project verification, as well as a suite of guidance documents, including a measure guide, plan templates, deconstruction best practices guide, and regulatory overview. Measures and guidance documents have been developed with input from experts in state, local, and regional government, academia, and the building and deconstruction industries.